Brexit, Quitaly and Grexit. Debt Defaults, Stock Shocks, Bond Bubbles, Properties Popping, Derivative Defaults and Banks Busting. Well that is just some of the events that twill take place in the next few years. But the world is living in ignorant bliss of what is coming next. Well this well-known song says it all. Risk in the world is growing exponentially but no one is worrying. 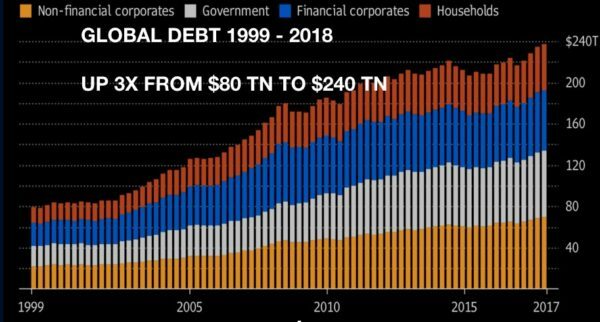 Global debt has trebled since 1999 from $80 trillion to $240+ trillion today. And since the Great Financial Crisis started in 2006, debts have doubled. But Don’t Worry be Happy! And Central banks of course won’t let us down. They have printed $16 trillion since 2006. So they must continue to make the rich richer and the poor believing that all is well. So Don’t Worry. And world stock markets are up 4x since 2009. So Don’t Worry, this will go on for ever. Stocks are up and debt is up what a great formula. Just print more and give more credit and all will be well. Be Happy!. What a Wonderful World as Louis Armstrong sang. All the central banks need to know is to print more money and and we can all Be Happy. 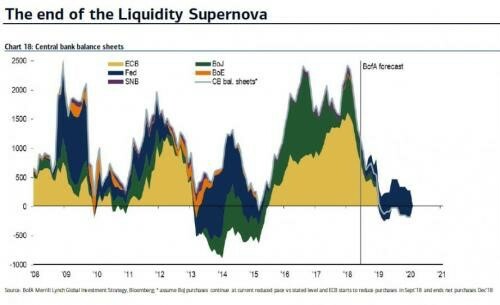 But wait, these mental central bankers are now stopping to print money and embarking on another programme with a name that no one understands – Quantitative Tightening – QT. For us normal people, it means that rather than printing more money, they will actually reduce their debt. 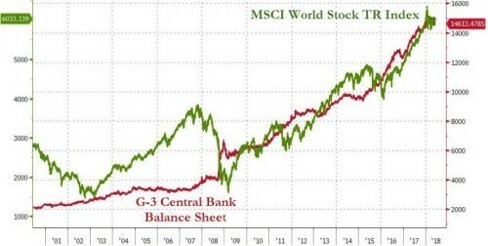 For some obscure reason, these central bankers seem to forget that it is only their money printing that artificially has kept the illusion up that All is Well on the Western Front, and also on the Eastern front of money printers like Japan and China. Stock, bond and property markets are totally ignoring what the effect of QT will be. Bullish investors are totally in denial of the fact that markets have only appreciated because of the biggest money printing and credit expansion in history. Once this stops, so will the bonanza in investment markets. And the ride down is likely to be the worst in history. In 1929 to 1932 the Dow lost 90%. The coming fall will most certainly exceed that, as we today have a global credit and asset bubble which is substantially bigger than in 1929. Investors will initially be in denial. Most of them don’t understand the direct relationship between credit expansion and investment asset appreciation. But when asset prices start declining, why should it be different this time to the last decades’ experience. Investment markets have always been saved by central banks’ generous credit expansion. Well, for the simple reason that there is a limit to how much wealth can be created by writing worthless pieces of paper or just pushing a few computer buttons. What nobody understands is that THIS TIME WILL BE DIFFERENT. Central bankers have run out of weapons to fight this phoney money war. They are not just stopping money printing but instead tightening. Central banks clearly understand that QE is not working. But do they understand the effect the coming massive liquidity squeeze will have on credit markets? Well, that is doubtful. It just isn’t possible to have an orderly wind down of the biggest credit bubble in history. The most likely scenario is that after a few months of tightening, asset markets will crash and credit markets will cease functioning. At that point world central banks will panic and print more money than they ever have. That will be the start of an inflationary recession which soon will lead to a hyperinflationary depression just like we are seeing in Venezuela and Argentina. It will also be the death of the current monetary system as most currencies fall to their intrinsic value of zero. At that point most WILL WORRY and few WILL BE HAPPY. Because we will reach the point of recognition that the 100 year old experiment of central bank manipulation of money, interest rates and markets has been a total failure from which the world will suffer for a very long time. 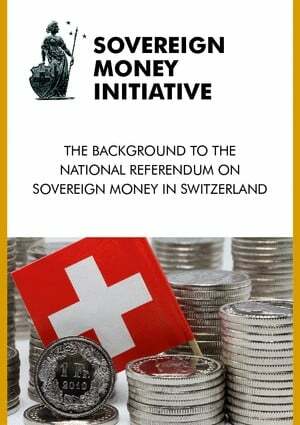 In order to stop future bank collapses, Switzerland last weekend had a referendum on the Vollgeld or Sovereign Money Initiative. This is another example of Swiss direct democracy which means that ordinary people can launch an initiative to change the Swiss Constitution. The instigators of an initiative need to collect 100,000 valid signatures in favour, in order have a national vote. If that vote backs the initiative, it becomes part of the constitution and cannot be changed by parliament or government. This unique method of direct democracy is one important reason why Switzerland has the best political system in the world. The Vollgeld Initiative is quite complex but in very simple terms it would stop the fractional reserve banking system in Switzerland. Today most private banks in the world can print or create money by leveraging their deposits up to 10x or more. This is not just highly inflationary but it also jeopardises depositors money by lending it out 10x over. Thus fractional banking is the perfect Ponzi scheme that eventually leads to banks failing. It almost happened in 2007-9 but central banks managed to stop a systemic failure in the last minute. When the next financial crisis starts, which is not far away, central banks are unlikely to save the system as the problem is now exponentially greater. The initiative required banks to back all on demand deposits with central bank reserves. 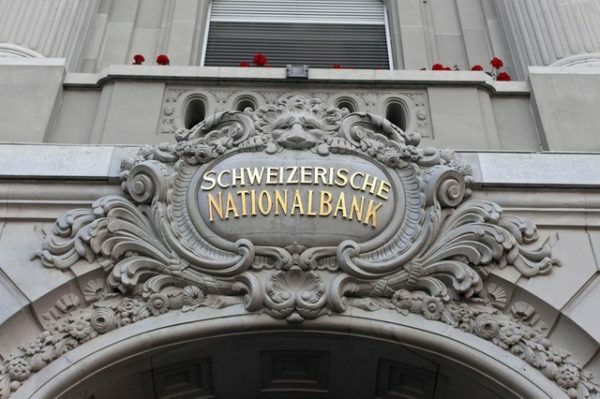 All new money creation would be done by the Swiss National Bank (SNB). I was involved with the Gold Initiative a few years ago in Switzerland. This was to make gold a more important part of the Swiss monetary system. It made more sense than the Vollgeld initiative but was still voted down. The whole establishment was against it, government, Swiss National Bank as well as the media. Same with Vollgeld. It had no chance due to the the same parties opposing it. Thus, it was voted down by a strong majority. Of course private banks shouldn’t be allowed to print money which they are doing through the fractional banking system. But so do credit card companies and a lot of other finance companies. All that debases the currency. The problem with giving the SNB even more powers to print money, which the Initiative would have done, is in my view unwise. They have already printed more money relative to GDP than any Western Central bank. Their balance sheet is over 110% of GDP. The Fed’s is 20% and that is too big. So the fact that the SNB is the biggest hedge fund in the world, with massive holdings in currencies and US stocks, is very negative for the Swiss franc long term. Also, the Swiss banking system is more than 5 times GDP which is bigger than any major economy. This means that if we have another financial crisis, which is likely, the SNB will need to print enormous amounts of money. So I would not have major amounts of money in Swiss banks, or any other country’s banks for that matter. In spite of central bank tightening, many stock markets are going to new highs. This will be the final high in this secular bull market. It can end any time or it can go on until late autumn. But when it ends, it will be the start of a very long secular bear market which will be devastating. As fear takes hold on markets and the global financial system, the flight to safety will start. The problem is that there will be few safe assets. Stocks and bonds will crash and so will property, as interest rates surge and lenders tighten. And paper money will decline rapidly in value as central banks print unlimited amounts. Swiss state pension fund buys physical gold. 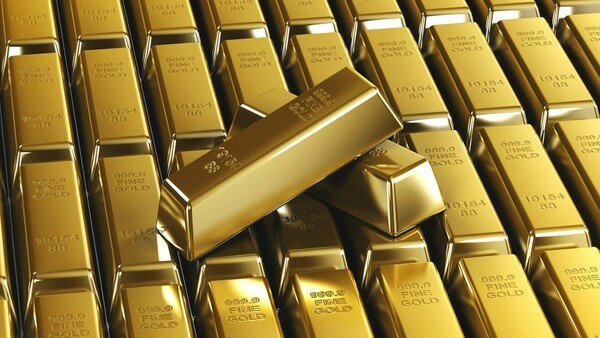 The only money which has survived in history – Gold – will reflect the fear in markets and be in great demand. Also the other precious metals. Not only will individuals acquire gold (and silver) but also institutions and pension funds in order to inflation hedge their portfolios. The major Swiss state pension fund has for example decided to increase gold holdings from 1-2% and to hold it in physical. This is a very significant move and likely beginning of a trend. In the next few years, all pension funds will all need to buy gold to inflation hedge their portfolios. There is still time to buy gold and some silver before the price of these metals explode. The coming demand, combined with the failure of the paper gold market cannot be met by more supply since we have already seen peak gold production. The only way to satisfy a higher demand is through a much, much higher price. A pension fund that intends to spend say $100 million to buy gold would today, at $1,300, get 2.5 tonnes. As gold supply dries up and the price surges, the fund will still spend $100 million but instead of getting 2.5 tonnes, it will buy much less, say 0.25 tonnes, as gold climbs to $13,000 an ounce. Now is the time to preserve wealth against a rotten financial system by buying the best insurance possible in the form of physical gold and silver. With the Fed decision out of the way, the $1,300 resistance is likely to soon give way and lead to much higher gold price. So protect yourself when there is still time and then “Don’t worry, be happy!